Greetings, hikers! 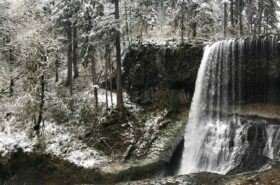 Time for my (almost) weekly update of conditions and news related to hiking in the Portland area. I will miss next week’s post because I will be … hiking. to Sheep Canyon and South Fork Toutle River. As far as conditions go, it’s all on! Any trail you wish to hike is open right now. 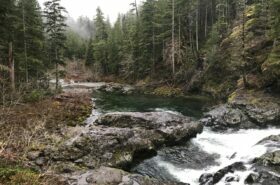 I went up to the Roaring River Wilderness, up the Clackamas River, last week and saw few people and almost no bugs. There was a yellowjacket that bit me, but weirdly I didn’t even see that one! I recommend the high country these days, like Chinidere Mountain or McNeil Point. McNeil Point Trail, above Timberline Trail. The next big thing for conditions will be looking for fall colors, and somebody saw just the tiniest flash of them on Silver Star Mountain this week. As for news and events, let’s start with that McNeil Point hike, because Forest Road 18, or Lolo Pass Road, is open again. Hooray! A new section of the Historic Columbia River Highway Trail is opening this weekend in the Gorge, though for only two days. Then they’ll close it again to finish up for an official October 31 opening. Plenty of events in Cascade Locks described at the link, including a car-free hour on the Bridge of the Gods. Also at the link, I got quoted, as the Breakfast Guy, by Portland Monthly! They used my quote about the Charburger being like eating in a vintage postcard, leaving out the part where I said the food was crap. An even more exciting trail possibility is the Salmonberry Corridor. It’s an old railroad from Lake Oswego, through the coast range, and down to Tillamook! 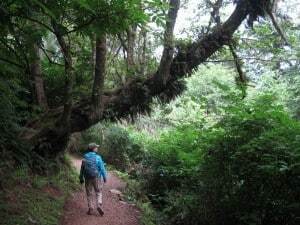 It used to be hikeable, and was described in my book 60 Hikes Within 60 Miles of Portland, but mudslides wiped it out. If that whole thing becomes a trail — and they say it might in less than 10 years — look out! 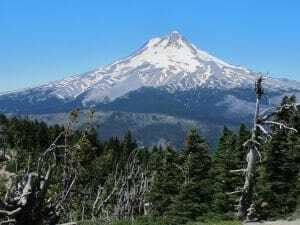 Trailkeepers of Oregon is doing a bunch of trailwork at Timberline Lodge on September 21. Sign up here. And finally, this isn’t really news, but there was a cougar sighting on Hood! Two young ones, seen from a road, and captured on film. Check it out. Mount Hood from the summit of Lookout Mountain. The Mazamas have trips to Squaw/Tumalo Mountain, Cape Horn, Indian Heaven, Eagle Creek, and Trapper Creek this weekend, then Bell’s Mountain on Wednesday. Trails Club has a trip to Nesika Lodge this weekend (which would get you a membership) and their usual “mystery” Wednesday hikes next week. 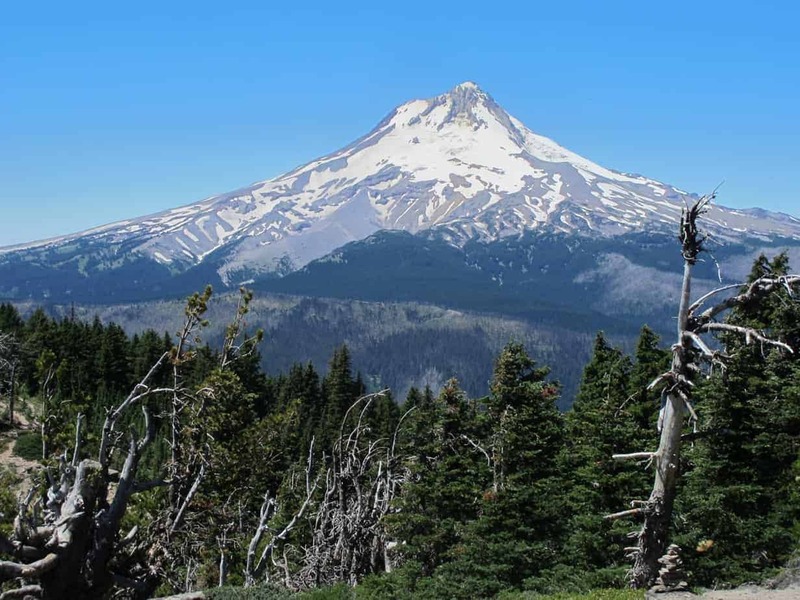 Sierra Club is off to Lookout Mountain plus Eagle Creek and the new trail festival in Cascade Locks. 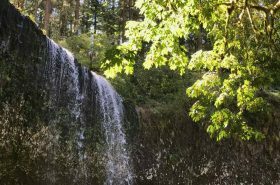 Friends of the Gorge has several outings, including the Cascade Locks festival, several hikes in that area, and a bat walk Sunday evening at Steigerwald Lake Refuge. 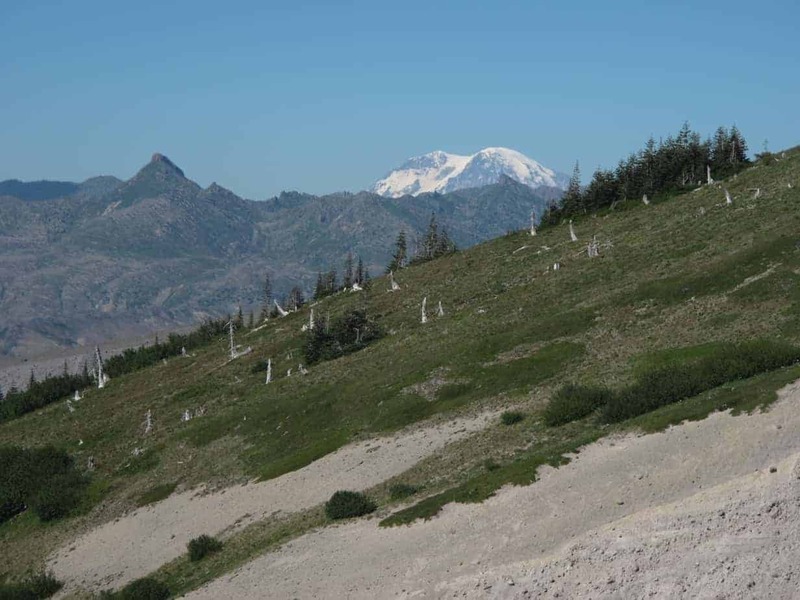 Mount Saint Helens Institute has some hikes next weekend at Coldwater Ridge. Cost is $100. 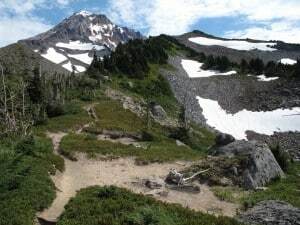 Oregon Wild has some stuff in the central Cascades this weekend, including a McKenzie River hike and climbs of South Sister. 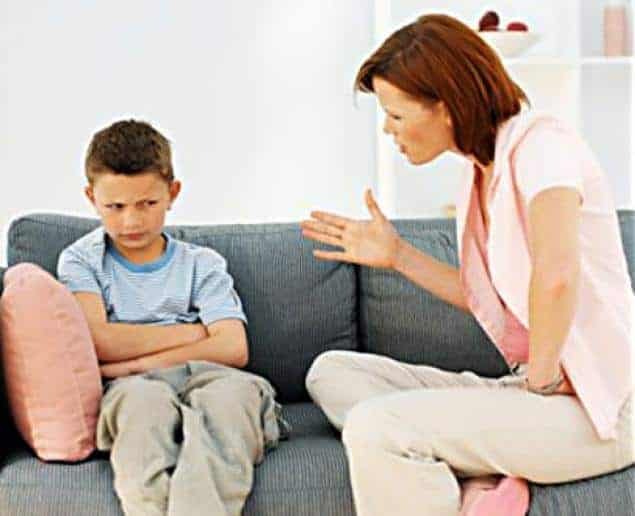 Next weekend they’re going to Bill Sullivan’s cabin!